West Texas Intermediate crude headed for the biggest weekly advance since December and Brent gained as escalating violence in Iraq threatened supplies from OPEC’s second-largest oil producer. Futures rose as much as 1.1 percent in New York, extending a 2 percent rally yesterday, the most in two months. Iraqi Oil Minister Abdul Kareem al-Luaibi speculated that U.S. planes may bomb his nation’s north as militants linked to al-Qaeda, who captured the city of Mosul this week, moved south toward Baghdad. The member of the Organization of Petroleum Exporting Countries produced 3.3 million barrels a day last month, data compiled by Bloomberg show. WTI for July delivery gained as much as $1.15 to $107.68 a barrel in electronic trading on the New York Mercantile Exchange and was at $107.02 at 2:52 p.m. Sydney time. The contract rose $2.13 to $106.53 yesterday, the highest close since Sept. 18. The volume of all futures traded was four times the 100-day average. Prices have advanced 4.3 percent this week. Brent for July settlement, which expires today, increased as much as 73 cents, or 0.7 percent, to $113.75 a barrel on the London-based ICE Futures Europe exchange. The August contract climbed 19 cents to $112.61. Front-month prices are up 4.4 percent this week, the most since July. The European benchmark crude was at a premium of $6.23 to WTI. The group that calls itself the Islamic State in Iraq and the Levant, know as ISIL, seized Mosul on June 11, forcing a halt to repairs at the main pipeline from the Kirkuk oil field to the Mediterranean port of Ceyhan in Turkey. There were conflicting reports that Baiji, the site of Iraq’s biggest refinery, had been captured. Prime Minister Nouri al-Maliki’s Shiite-led government is struggling to retain control of Sunni-majority regions as his army units in northern Iraq collapsed amid the extremist advance. U.S. President Barack Obama said he won’t rule out using air strikes to help the government in Baghdad. The fighting hasn’t spread to the south, which the U.S. Energy Information Administration estimates is home to three-quarters of Iraq’s crude output. The country shipped 5.43 million barrels from the Basrah terminal on the Persian Gulf on June 11, according to al-Luaibi, the oil minister. OPEC, responsible for 40 percent of global oil supply, maintained its production target at 30 million barrels a day at a June 11 meeting in Vienna, leaving output below projected demand for the rest of this year. Group member Libya is pumping at about 10 percent of its capacity because of unrest while Iran next month faces an end to relief from international sanctions, which could curb exports. 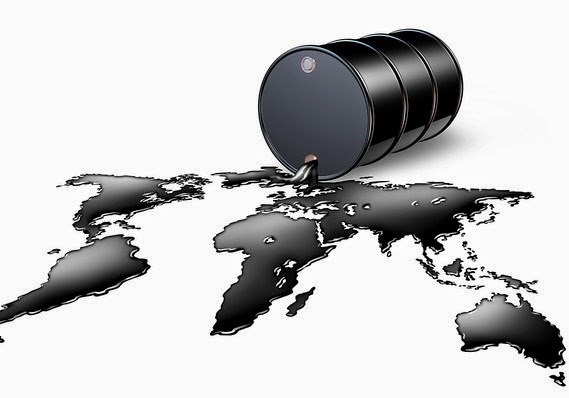 WTI may rise next week on concern the conflict in Iraq will disrupt shipments, according to a Bloomberg News survey. Seventeen of 26 analysts and traders, or 65 percent, forecast futures will increase while three said prices will decline.